After discussions with Speaker Karu Jayasuriya yesterday, President Maithripala Sirisena has agreed to convene Parliament on November 05, reversing his earlier order to convene it on November 16. Former President Mahinda Rajapaksa, in a statement to media a short while ago, confirmed that the President conveyed the decision to him. Before the President ordered probation of Parliament until November 16, the House was scheduled to convene on November 05 for the second reading of the Appropriation Bill. ‘At the next sitting of Parliament, Rajapaksa will take up the chair of the Prime Minister as his name has been gazetted as the Prime Minister’, the Speakers Office said. The decision to convene Parliament on Monday has been made amid increasing international pressure on the President to allow the legislature to perform its functions. The UN Resident Coordinator in Sri Lanka Hanaa Singer met President Sirisena in Colombo yesterday and requested him to uphold the constitution and adhere to the democratic procedures. Opposition Leader R. Sampanthan too met the UN Resident Coordinator in Parliament yesterday and urged her to exert international pressure on President Sirisena to convene Parliament and uphold democracy. Meanwhile, the Janatha Vimukthi Peramuna is scheduled to hold a rally in Nugegoda today at 3 pm against the appointment of Rajapaksa as the Prime Minister. 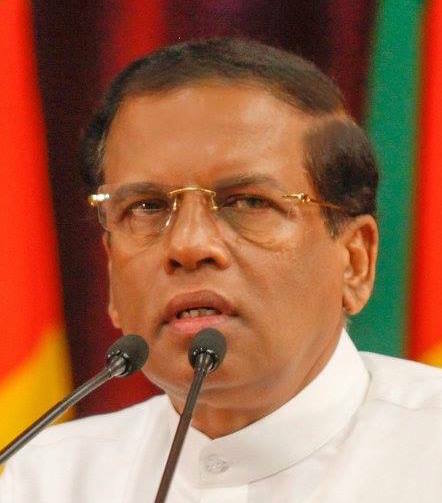 The party has stated that by appointing Rajapaksa as the Prime Minister, President Sirisena has beached the Constitution and undermined democracy.